If you’re a member of the School Nutrition Professionals Facebook Group, you may have seen Tory Gibson’s pictures of her cafeteria staff’s name placards. She uses these at North Myrtle Beach High School (SC) to make it easy for students to learn her staff’s names. 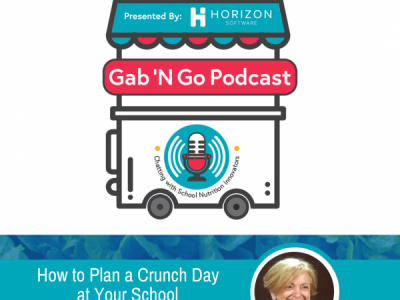 Tory joins us to share how she will also use her placards at Freshman Orientation, as well as some “out-of-the-lunchbox” ideas to market your program to high school students. 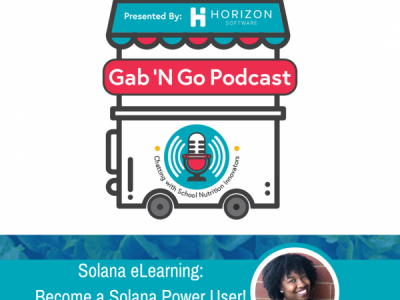 Tory brings a lot of fun and enthusiasm to this special episode of Gab ‘N Go Podcast! – Cafeteria staff placards – see Tory’s creation! – Join the School Nutrition Professionals Facebook Group. – Follow Gab ‘N Go Podcast on Facebook, Instagram and Twitter. 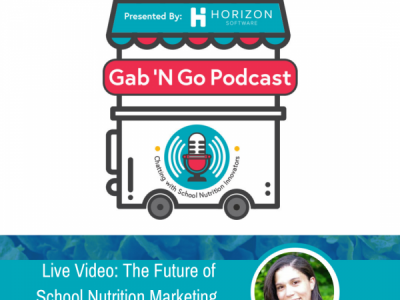 – Connect with Gab ‘N Go host, Liz Roesel, on LinkedIn.